Want help setting up an autoresponder or creating a welcome drip series to keep your new subscribers engaged? Got a query about, tagging, segmenting, personalisation or conditional content? Or perhaps you want some advice around creating a form? 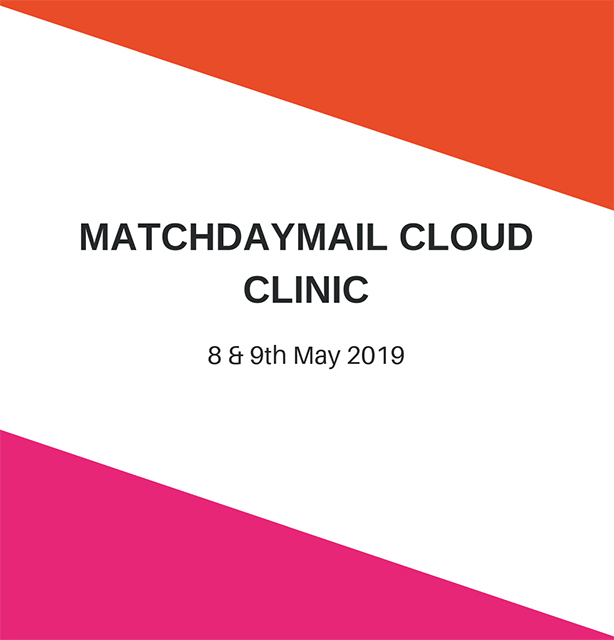 On the 8th and 9th May we’ll be holding an online MatchDayMail Cloud Clinic for our clients. Book at 30 minute slot with Jon or Lyndsey and we’ll aim to answer your queries on our email marketing platform MatchDayMail Cloud.